I'm super excited about my first blog post ever! Thank you so much for reading and I'm sending all my love your way! Now, down to fashion business! Obviously animal print with black is hot, but a tad too predictable. 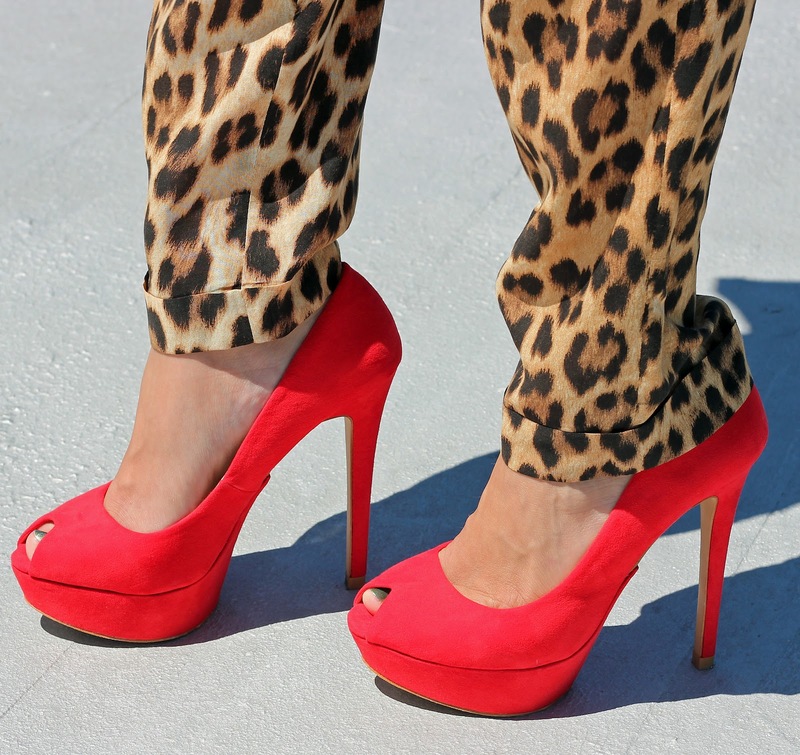 I’m obsessed with adding a pop of color to animal print. Some great colors to try are red, cobalt blue, and emerald green. 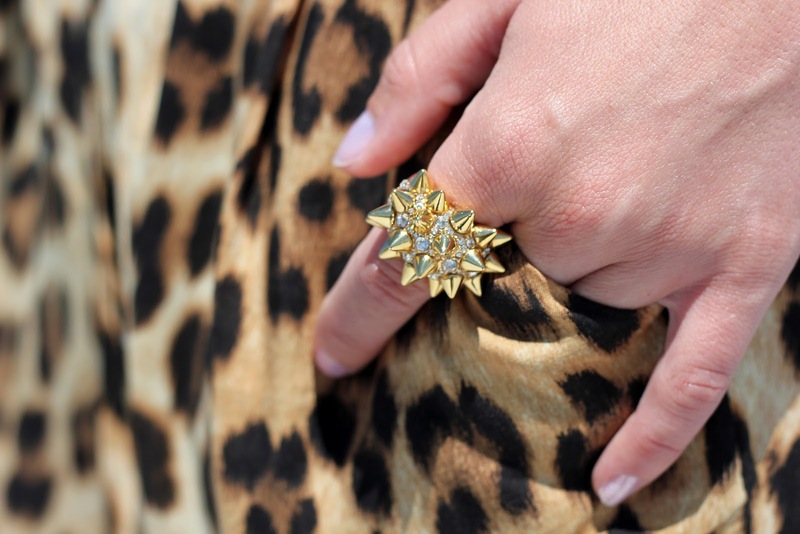 If you are worried about being too loud, use an accessory as the pop of color. A gorg clutch, shoes, or a scarf are fabulous options. Already obsessed. You know I want to steal those pants from you! !